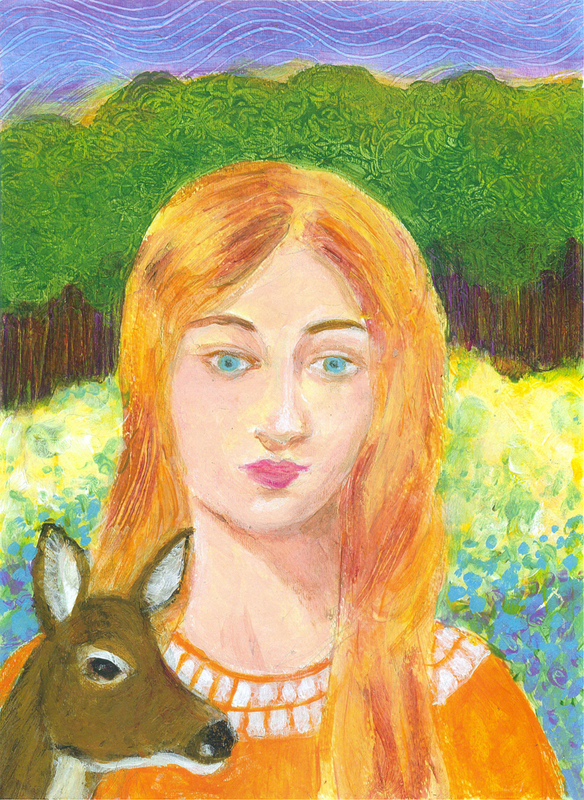 Last Christmas I gave my twin sister the first print of my painting Young Mary. 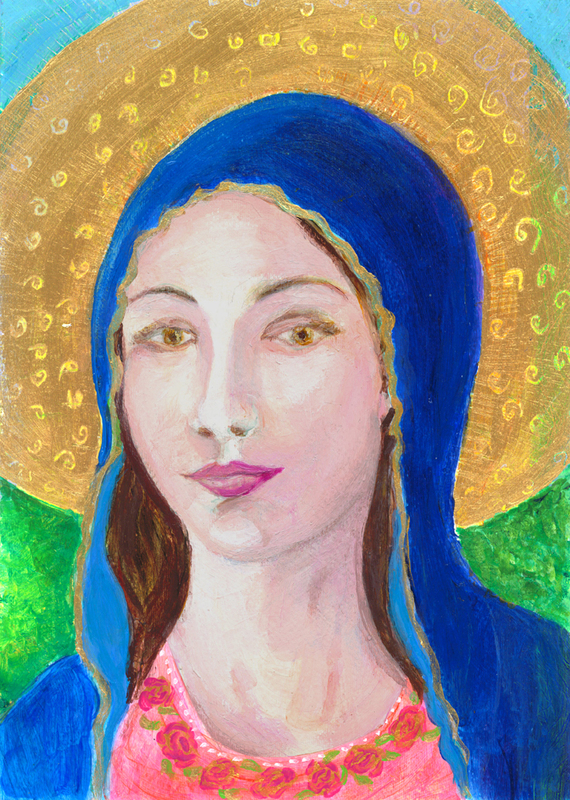 I had painted three Mother Mary’s that fall, and this was her favorite. She felt this painting captured Mary’s strong spirit. She must have been strong in her faith to listen to her visions and believe that she was carrying God’s son. In this painting I wanted to capture the look of the Renaissance period paintings with her golden halo and trim. The roses symbolize her loving spirit. The sun rise was gorgeous this morning while I was driving my daughter to her last day of school prior to winter break. It felt like an early Christmas present. Tomorrow marks the Winter Solstice, the shortest day of the year here in the Northern hemisphere. I’m ready for the sun to start returning and the new year to begin when I’ll have more time to paint. Wishing all a very light filled holiday season! 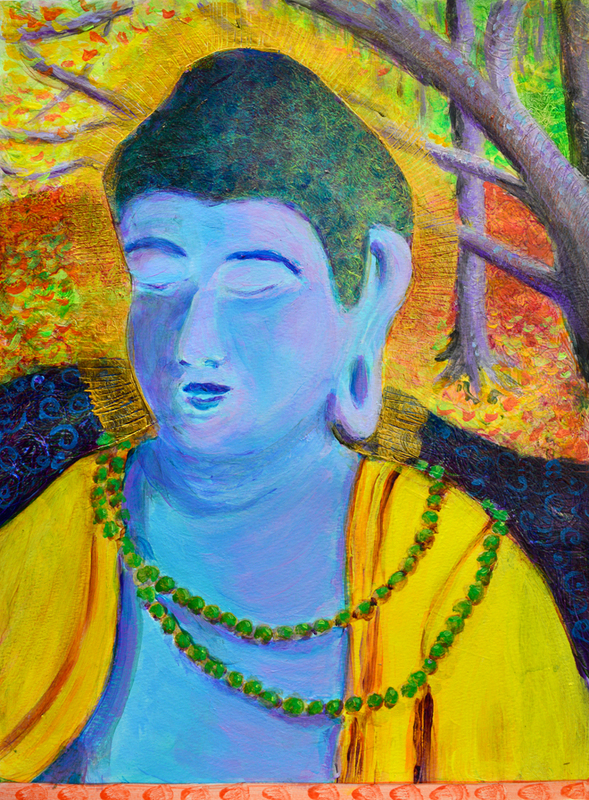 I think some of my best paintings have been the one’s when I paint with love in my heart. 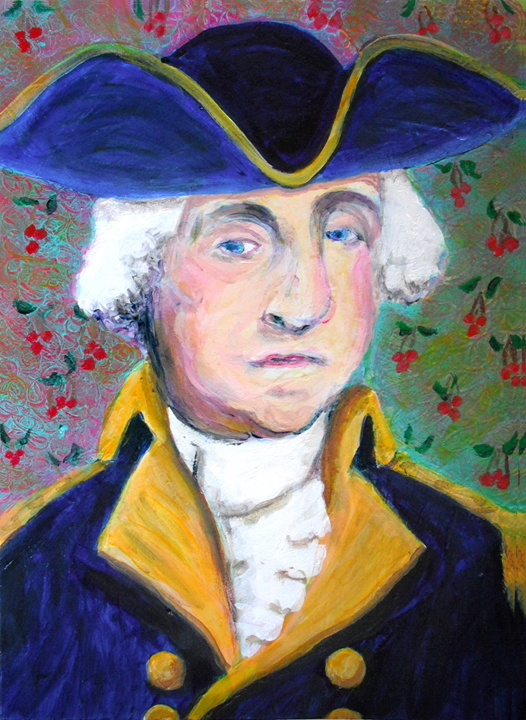 I painted George Washington’s Portrait in memory of my Mom. It was fun to paint while thinking about her. Mom was very patriotic; she loved American history and early American antiques. I have many childhood memories of our family driving out to the small towns that dotted the countryside and spending what seemed like eternity waiting around at antique shops while my mom shopped. Our house was filled with antiques that she had picked up over the years. My twin sister and I were born the day after George Washington’s birthday on February 23rd. Every year not only did I have to share my birthday with my twin, but also with him. Our birthday party themes always centered around George Washington. There was the cake with pink frosting and cherries. Little papier mache hatchets; tree stumps; George Washington busts; and miniature red, white, and blue drums adorned the dining room table. In my twenties I was pretty angry about that. Years later, now that I am a mom too, I realize how creative my Mom was and how it must of been fun and enriching for her to do. So this painting is a thank you to my Mom for her creative example and her taking time to follow her own passions. I like the way he looks just a little bit conflicted. Happy President’s Day!